Following extreme flooding events in and around Newcastle in 2012, Landform Surveys were commissioned by Capita to produce topographic surveys of over 20 sites in North Tyneside to enable flood mitigation methods to be designed. This took approximately 60 days to complete and involved the production of comprehensive and accurate topographic surveys, where ground heights were critical. RTK and post processed GPS measurements were taken to establish levels of control stations, and Trimble S6 total stations used to produce survey detail. Our surveys were produced to Environment Agency specifications and were compatible with ISIS Flood Modelling Software. Once complete the final drawings were also supplied in AutoCAD .DWG 3D and MX Genio 3D Ground Model formats. 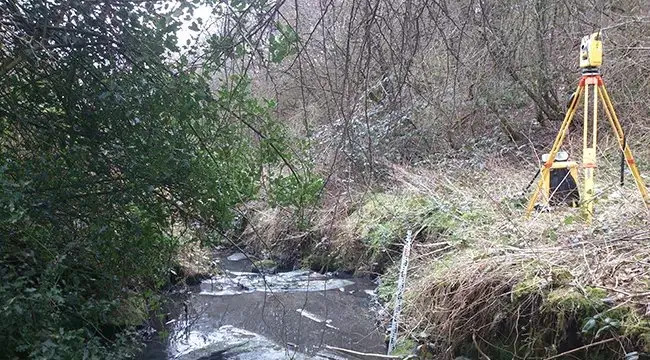 Following the initial phase of surveys, we were then commissioned by Capita to produce further topographic surveys of major watercourses in the North Tyneside area, to enable a full flood analysis to be carried out.